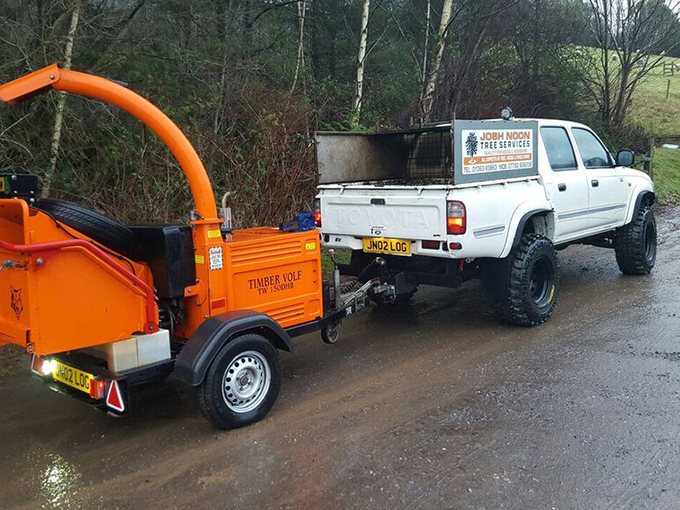 Josh Noon, a self-employed tree surgeon from Mid Devon, first used Landpower when his Timberwolf 150 woodchipper broke down. Having first tried his local dealer, only to be told they didn’t have the parts in stock, Josh looked elsewhere for an urgent solution. “Time is money when it comes to woodchipping, so it is good to be able to keep downtime to a minimum. When the aluminium fins in my woodchipper snapped, I was faced with the prospect of getting it fixed really fast or losing business. I owe a debt of thanks to Amanda from Landpower. Not only did she get me out of a real bind, but she was also really helpful and turned the repair around in a matter of days. While my machinery was getting fixed, Amanda leased me a replacement machine at a reasonable rate and solved my problems. It was not a simple job either, so I was amazed at how quickly Landpower was able to turn the job around for me mega fast and a lot cheaper than anywhere locally. None of the dealers near me come close to offering what’s in store at the Landpower Shop in Somerset, so although it is a bit of a journey for me, they are well worth a visit for the quality service they provide. I buy most of my kit online, so their website shop is really useful too.